The U.S. Environmental Protection Agency (EPA) designated January as national Radon Action Month. This is the right time to ensure that your family is protected from this hazardous chemical. According to the U.S EPA, radon is the second leading cause of lung cancer deaths among non-smokers in America. It also claims the lives of about 21,000 Americans each year. Radon-induced lung cancer costs the US Government more than $2 billion dollars per year in both direct and indirect health care costs. 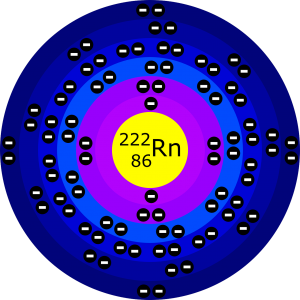 Radon is a radioactive gas that from the natural decay of uranium found in most soils. Normally, it moves up through the ground to the air then enters your home through cracks and other holes in the foundation of the structure, where it is trapped and builds up. Any structure, whether new or old, may have a radon problem. What is alarming is that reports claim that high radon levels have been found in every state. Radon is a colorless, odorless, and tasteless gas. According to the radon fact sheet, this radioactive gas easily enters many common materials like paper, leather, low density plastic (like plastic bags, etc.) most paints, and building materials like gypsum board (sheetrock), concrete block, mortar, sheathing paper (tarpaper), wood panelling, as well as most insulations. Testing is the only way to know if radon is present in a building. Fortunately, test kits are available in home improvement centres, hardware stores, as well as online. They are sold at approximately $20 per kit. These kits are easy to use and are packed with easy testing and mailing instructions. EPA Mid-Atlantic Region Administrator Shawn M. Garvin explains that testing for radon is an easy and vital step to ensure the health of your family. Reducing radon exposure can make our homes, schools as well as communities healthier places to live, learn, work and play, he adds. If you are deciding on buying or building a new home, the US EPA recommends that radon testing be included as part of any real estate transactions. Considering having your newly constructed home to be built with radon resistant features will ensure a more secure shelter for your family. The EPA also warns us that dangerous levels of radon can lead to serious disease. However, there are no immediate symptoms that may signal the presence of radon nor its accumulation. Usually, it takes years of exposure before any significant observations may be visible. As this is a national threat, everyone is encouraged to spread the world. Any platform that can be used to let the word out needs to be utilized to ensure that more will be aware of the situation. More than being informed, however, is the need to have every home tested. If you have connections within the community or workplace, encourage the people in charge to have a regular radon testing within your location.